Hi! 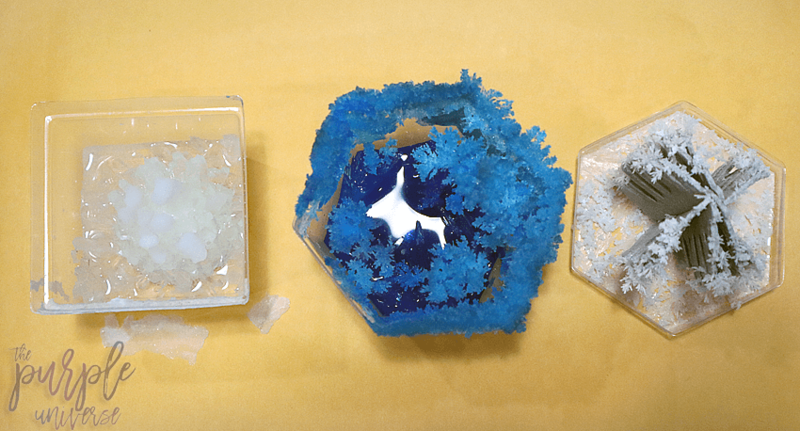 Welcome/Welcome back to my blog.I’ve been dying to make crystals and now I finally — FINALLY! –did it. 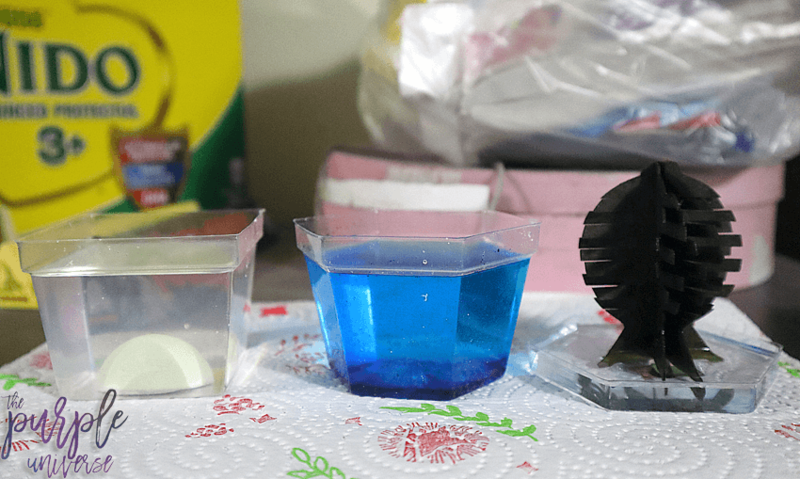 I’m so proud of the crystals that came out of this little experiment that was made possible by Kidzlabs Crystal Science Kit (#notsponsored). I wish I was sponsored though because they have so much experimental kits that look so awesome. 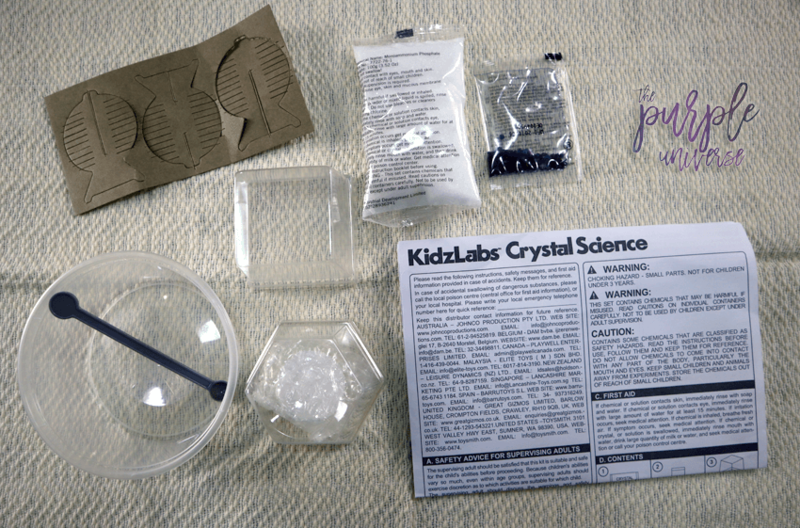 This kit contains the materials to make 3 crystals. One glow in the dark crystal, one blue crystal, and one crystal tree. After you use these materials, you should throw them away. Even if these are good mixing utensils, that’s beside the point. You should throw them away because they contain chemicals that could poison you and/or your family. These are what they look like when you’re all done preparing them and they need to be placed in a warm place. But the liquid in the crystal tree evaporates so be sure to have some extra crystal liquid. These are what the crystals look like 2-3 days after leaving them in a warm place. I placed mine on top of the refrigerator. And these are what they look like when they’re done which will take about 10-14 days. 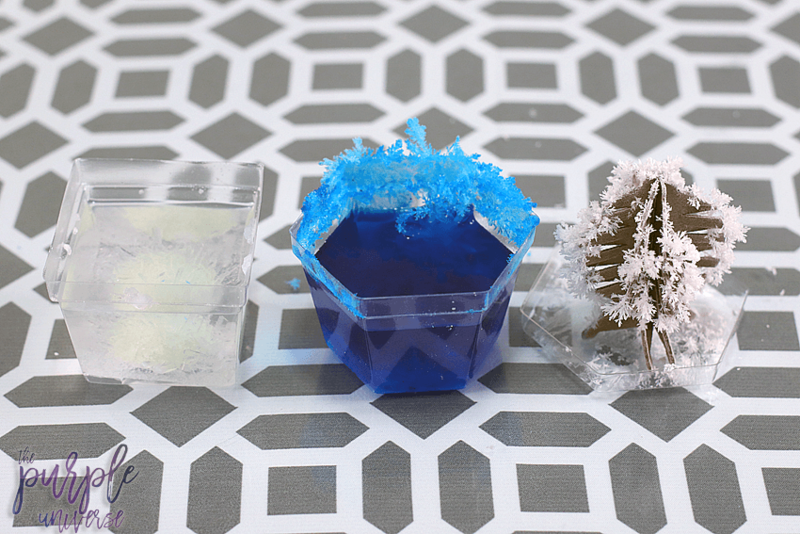 The blue crystal is crystal climbing which is when the crystal grows like a vine and is trying to get out of the container.